We’re pleased to say that new Bolted! stock has now arrived and all outstanding orders have been despatched. We’ve also recorded a new DVD with some additional points on handling and an extra demo clip. This is being included with all current orders, of course, but if you have the original DVD just send it to us with a £1 to cover post and packing and I’ll happily replace it for you and throw in the little carrying pouch we now include. The original DVD does cover all the essentials, it’s just that following demonstrations at Blackpool we decided to cross the odd ‘t’ and dot a couple of ‘i’s. We’ve also got the new packaging… what do you think? All orders made at the Blackpool offer price of £45 have now been completed. 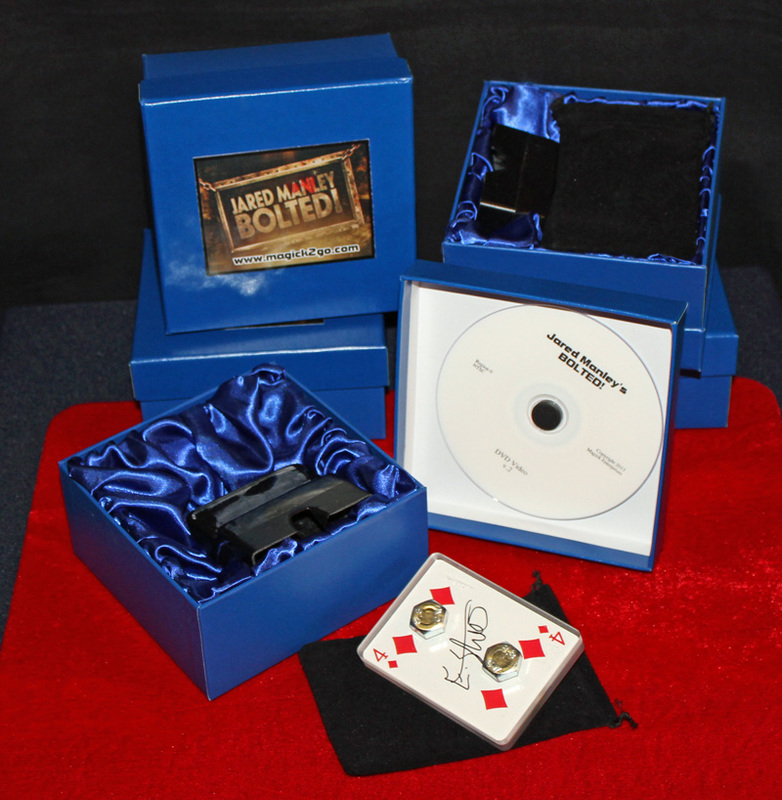 Cost is now £49.95 (plus post at cost), but you do get the new DVD, handy carrying pouch and a rather pretty box! I’ll take one! Seriously though, we’ve done everything we can to make Bolted as easy to use and get the ‘Wow’ factor you want with every effect!